At Corbyn & Co Properties our aim is to provide a personal, yet professional service which can be tailored to meet all client requirements and expectations. We want to use our extensive knowledge and experience to assist you in every aspect of your journey. Whether you’re selling, renting or buying this should be a relaxing and exciting experience in which we endeavour to achieve. We specialise in residential lettings, sales and property management in Redhill, Reigate and the surrounding areas - providing specialist advice and guidance across all areas of the local property market. Directors, Marc Hansen, Lucie Allan and Nick Guy together bring over 40 years of experience in the property industry and, alongside their dedicated team provide expert advice and support to their valued customers. Woodlands Lettings is an independent letting agent run by local people. We have an established excellent long term track record. Our aim is to provide outstanding friendly service at a competitive price. 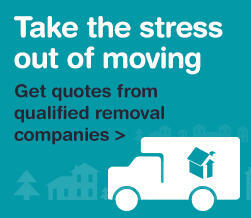 We cover Redhill, Reigate, Horley, Crawley and surrounding areas. Woodlands Lettings is ARLA bonded – a minimum requirement today for serious letting agents.